Each year, roughly 6,000 Americans receive emergency treatment for heat-related illnesses after participating in sports. Most of these illnesses can be avoided by simply remaining hydrated. David Donatucci, the PGA of America’s former director of fitness, advises golfers to drink at least five ounces of water on every tee box, resulting in about four bottles during an 18-hole round. 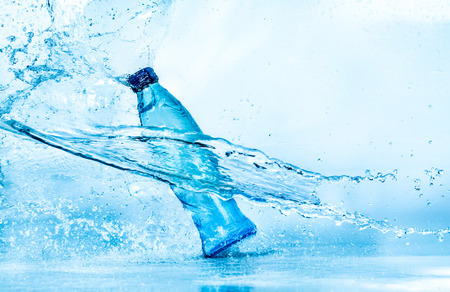 Although sports drinks offer a boost of chloride, potassium, and sodium if you sweat, some may have high concentrates of glucose or fructose, which should be avoided. While you shouldn’t consume alcohol or high-caffeinated drinks, like soda and coffee, as they will dehydrate you quickly, we know throwing a few back with your buds is part of the fun of golf. If you do drink beer on the course, pace yourself and make sure you continue to drink water, as well as eat. Nothing spells disaster faster than boozing in the heat on an empty stomach. You can also hydrate yourself by eating water-heavy fruits and vegetables, such as grapes, cantaloupe, and cucumbers, throughout your round. Light-colored clothing during the summer is not only a fashion statement; it’s also a health-conscious choice. Whites and pastels, like light yellows, greens, and purples, will reflect the sun’s rays better than darker colors. Wear loose fitting, lightweight shirts that will allow air to circulate, which helps you maintain a normal body temperature. If your shirts are too tight, your body could overheat. Choose cotton shirts, as they absorb perspiration and help you cool down faster – and for a longer period of time. Consider wearing wide brimmed hats, as they protect your ears, neck, and face more than regular hats or visors. If wide brimmed hats aren’t your style, at least wear hats or visors. Beyond clothing, there are other ways to protect yourself from the heat as you prepare for your next round. To avoid eye damage from the sun’s glaring rays, purchase sunglasses that block 99 to 100 percent of UVA (ultraviolet A) and UVB (ultraviolet B) rays. The American Academy of Dermatology advises people to use a protective SPF 30 sunscreen on hot, humid days, as well. You may also want to purchase a protective lip balm. For extra relief from the heat, frequently moisten a towel and apply it to your skin, particularly your forehead, neck, and arms. The cool moisture will moderate your body temperature. Although walking is generally beneficial to your health, you may want to ride a golf cart on extremely hot, humid days. By choosing to ride, rather than walk, you will reduce your overall energy exertion and avoid becoming overheated. Peak sun hours yielding the hottest temps are typically 11 a.m. to 2 p.m., so consider playing early. You will be able to avoid large crowds, complete your rounds faster, and enjoy the summer weather before it becomes unbearably hot. GolfNow actually offers early tee times each day through Play Fast, a program designed to help golfers finish your rounds earlier and quicker. Faster, earlier tee times will provide you more time for other activities you are interested in. Even better yet, these tee times are affordable with savings often upwards of 75 percent.